I was asked to coach athletics, particularly soccer. This is a photo from one of our on-campus competitions with three other dorm rooms. We won, obviously. Girls soccer team victory photo. A few boys snuck in. 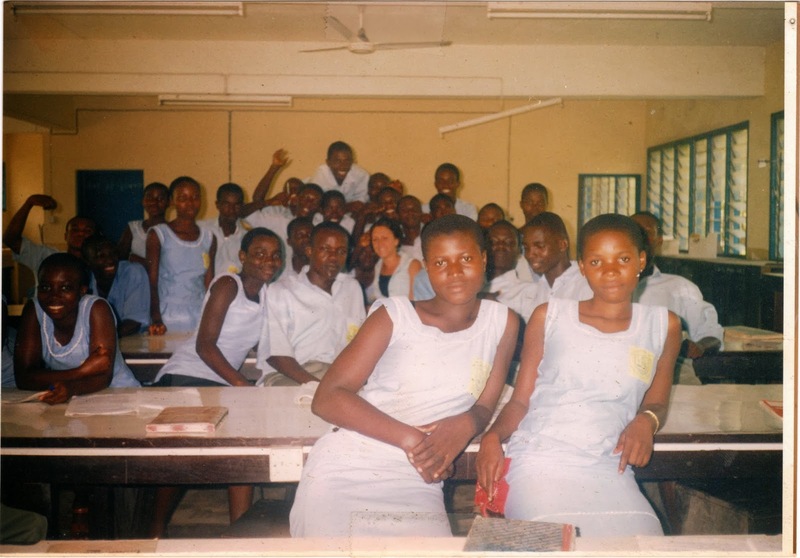 Many of these girls were in my girls group I held at my house every week. love these girls so much. Two of my favorite female students holding their winning soccer (football) trophy. forget showing up to the church service for it and my best friend and her husband were no where to be found. with men and women. The women started to walk down the aisle, I followed her, everyone else followed me. It was one of the most special days in my life. There was a photographer who took film photos in the village. The Peace Corps Volunteer before me set up this computer lab. I'm typing up a lesson plan here. Hard to explain this photo. This was taken during spirit week- similar to our homecoming week here. The students held a mock funeral for one of the teachers they disliked. 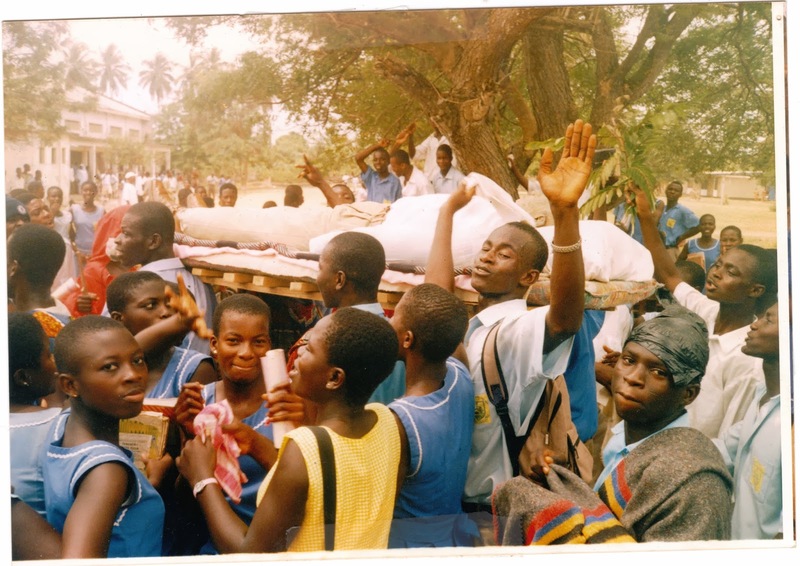 Funerals were a common occurrence in Ghana- that included both mourning and celebrating. This was a mock funeral with only celebration. Common colors you would wear to a funeral in Ghana are red and black- hence why there is a trash bag on one's head here. All in good fun, but again hard to explain. Watching the track and field games with the other teachers. 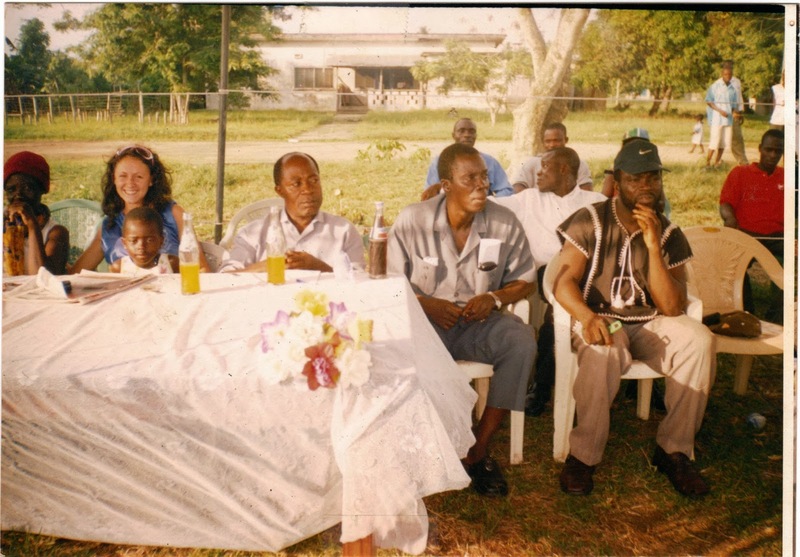 The headmaster (principle) is the second one to the right of this photo. This is one of my favorite photos because you can see my house directly behind me in the photo. My science classroom. You can barely see me behind in the middle. You can see the windows have no screens. On a daily basis, birds would fly in and out of the class. It was so common, no one even blinked an eye. Also one of my favorite things. teaching with wild birds singing in my classroom. 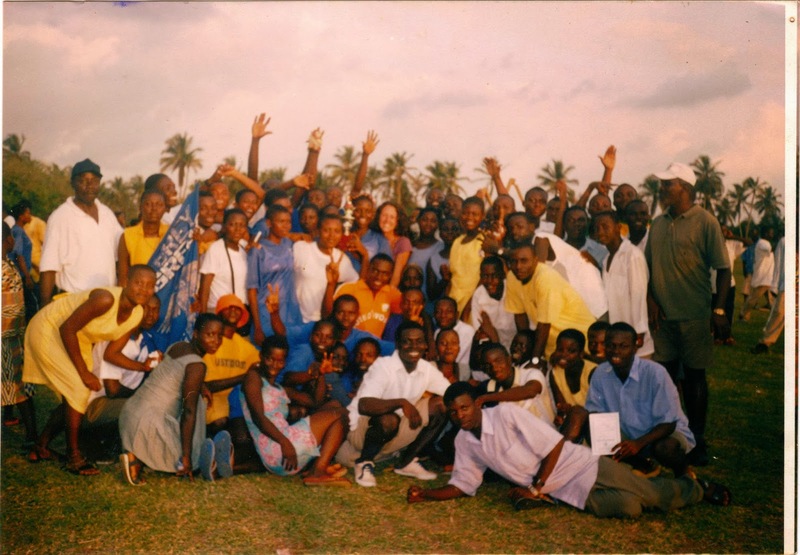 A hike I took with other volunteers near Techiman during Peace Corps training. Walking to the ocean in my village. Photo from when I went on safari with some other volunteers to Mole National Park in the north. 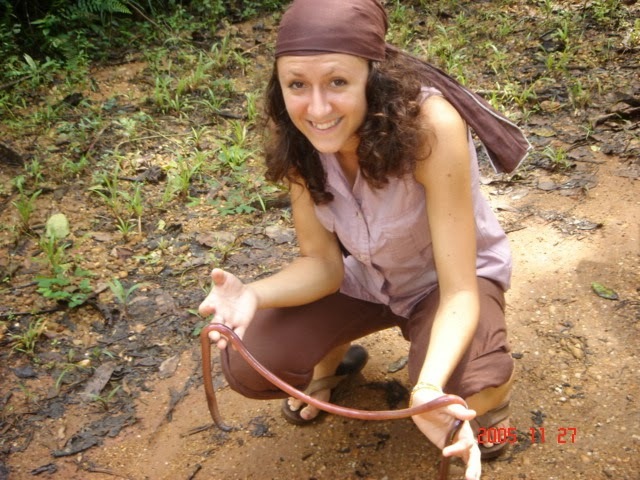 Earthworm I found on a rainforest hike. I spent my first Thanksgiving at my closest neighbor's house, who lived in a rainforest as an environmental volunteer. We had fufu, with ground nut soup, and guinea pig. It was a huge celebration. this beautiful baby while I was there. She used to tell me while she was pregnant that she wanted her baby to have my nose. 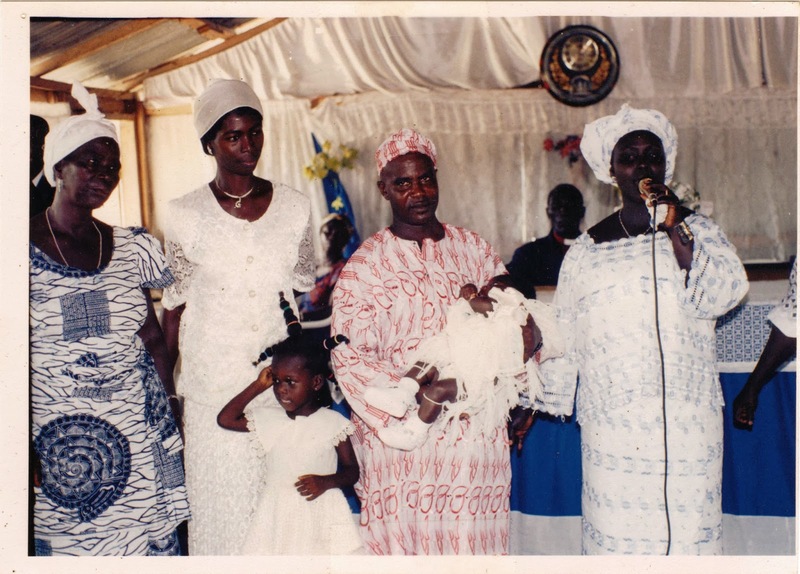 Happy Peace Corps Week! 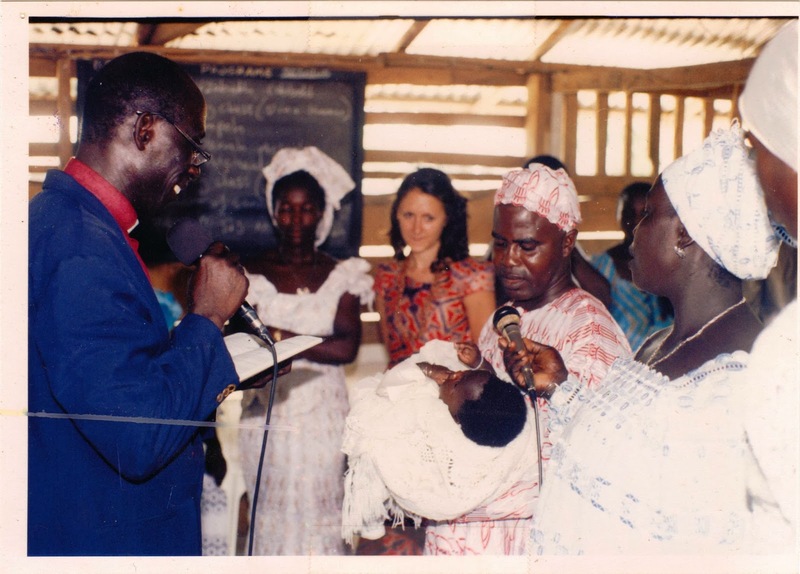 I can't help but reflect on my time I spent in the Peace Corps, in my fishing village, in West Africa, in Ghana. It was life changing to say the least. Everything about me changed. My worldview, how I communicated with God, what I wanted to do with my life, how I lived my life, my political views, how I interacted with other humans on this beautiful earth. Everything. You could say this experience was the single biggest life changer for me that I experienced in my 20s and may experience in my entire life. Nothing more that I hate than to be cliche, but it totally is the "hardest job you'll ever love" as they say in their slogan. It was intense, it stretched my patience, challenged everything I believed, and at times the things I experienced angered me. It was not easy for a million reasons. There were awesome times with my students, with my fellow teachers/volunteers, and there were times people hurt me both physically and emotionally. 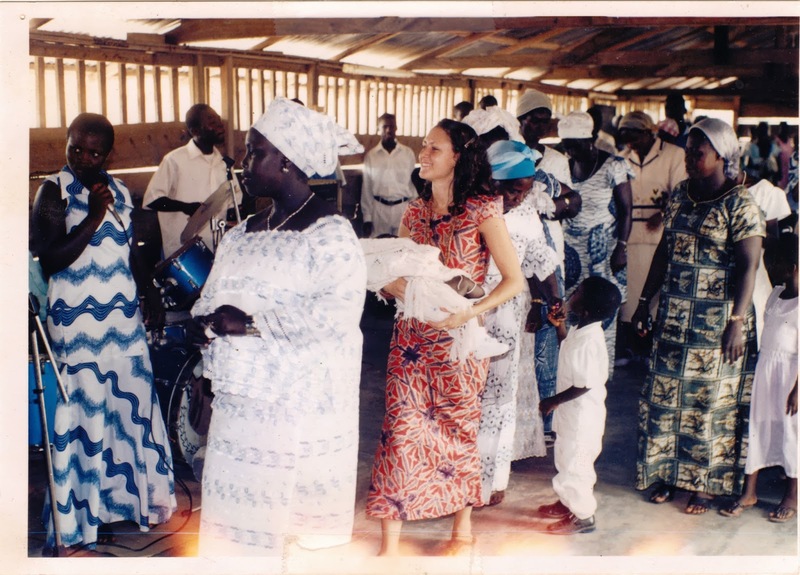 My heart was completely open to the entire experience the moment I joined, left on the plane with the other volunteers from Philly to Ghana, and landed in Accra. My primary project was education. I taught Biology and Physics and worked on secondary projects in community health. I loved teaching and I adored my hardworking students and my community. 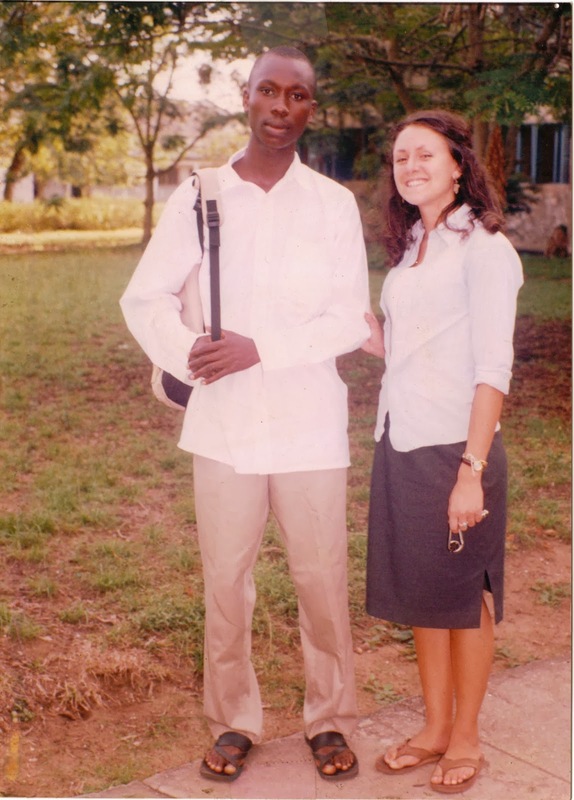 I lived in Ghana on the coast on the border of Côte d’Ivoire in a fishing village near a cocoanut farm. Cocoanut water was cheaper than actual water- and most of the time free. I remember my students would climb up the palm trees (which were SO tall) and bring me fresh cocoanuts all the time. One of my favorite memories was the chief of the nearby fishing village sent an entire live octopus to me. My eyes widened when the man who brought it to me opened the polytin (plastic bag) and said, "for you". I was lucky to have sporadic electricity, but lacked running water. 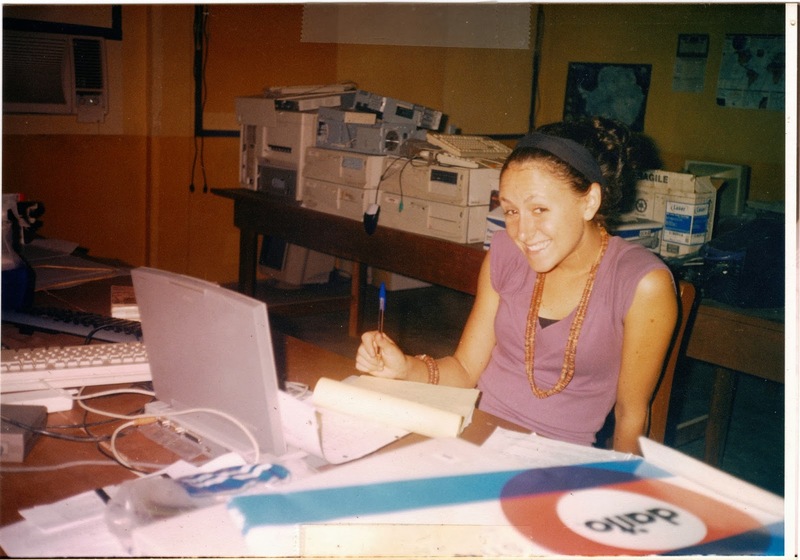 I served in the Peace Corps before they had made the switch to offering their volunteers phones/solar panels, and before there was wifi more readily available. I used to have to travel a 6-hour round trip for my closest internet to email my mom, and had to pay to call home in the US which I could not afford on the $5/day they gave us. The $5/day was to encourage us to live on the level the community did. The best part about the experience in my opinion. That being said, I traveled a ton on tro-tros (the public bus), at a ton of great local (spicy) food- so spicy it made my eyes water (fufu with palm nut soup and red fish was my favorite), loved wearing all the beautiful clothes, and got very sick several times. I met and worked with some of the most amazing people. I read hundreds of books. no really hundreds. We had two offices/hostels that Peace Corps Volunteers could come to take a break from site (their village) take a shower with running water, hang out with other volunteers, etc. There was a crazy book exchange happening. I would bring several books and take several books with me back to my village. I stopped keeping track. I left the experience believing anything and everything was possible. believing that I hit the lottery when I was born in the USA. I went in shy and naive and came out fearless and frustrated, bitten by the travel bug. 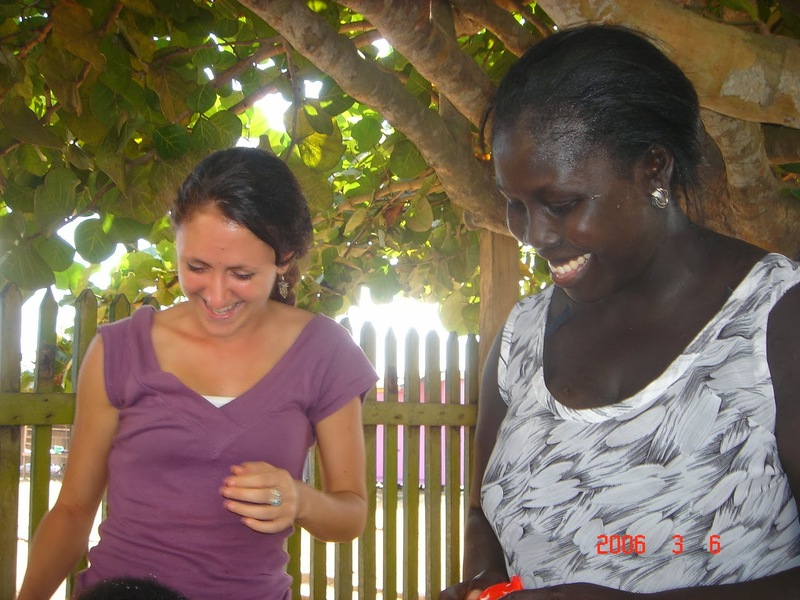 I turned that frustration into a career in public health by pursuing a masters in Global Health and continued to travel the world for work and research. I wouldn't be the person I am today without the experience. I remain incredibly thankful that I made the decision to join the Peace Corps, for all that I learned, experienced and most of all I am thankful for the amazing people I met and still keep in touch with. 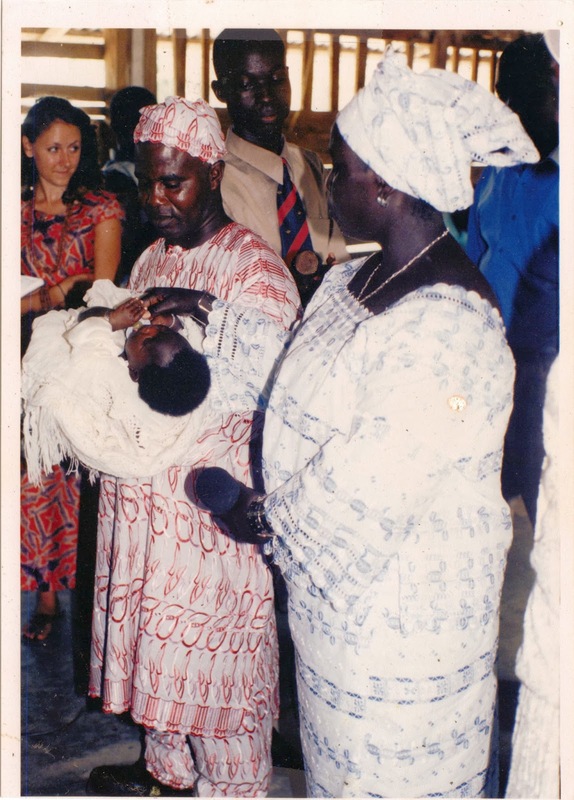 Hug a Peace Corps Volunteer if you can today! They are amazing humans. Ask them to share a story with you from their service.